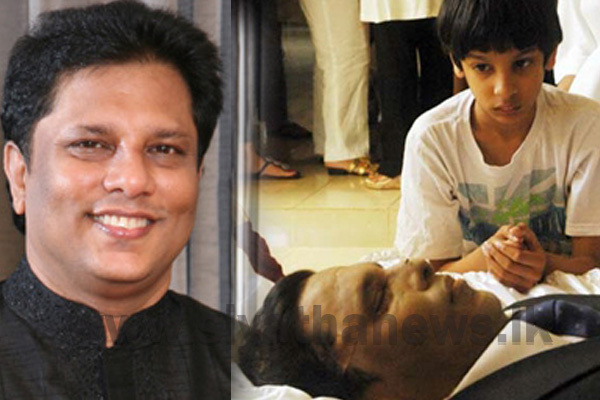 The Purawesi Balaya Organisation has submitted a letter to President Maithripala Sirisena requesting him to expedite the investigations being carried out with regard to the murder of journalist Lasantha Wickrematunge. 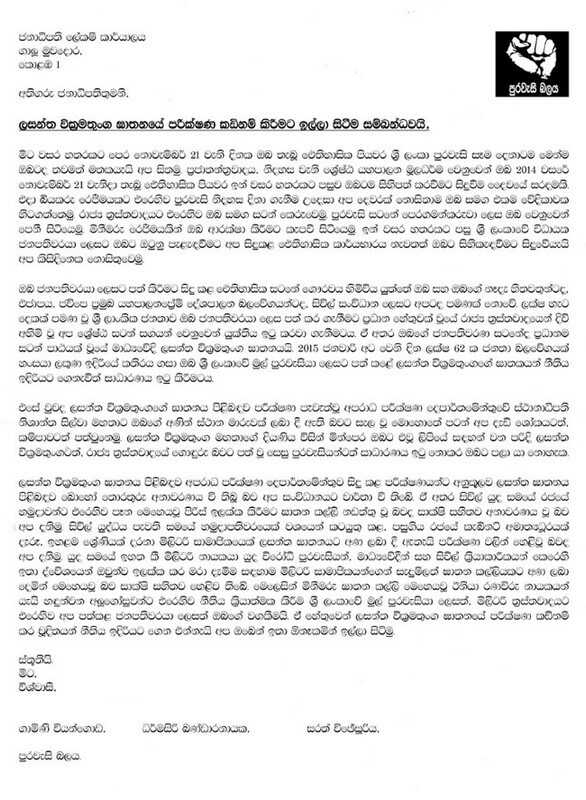 The letter has been signed by the Co-convener of the organization Gamini Viyangoda, Prof. Sarath Wijesooriya and Dharmasiri Bandaranayake. The organisation claims that it is aware of the fact that a great deal of information was uncovered through the investigations carried out by the Criminal Investigation Department (CID) and of the persons responsible for leading hit squads against journalists and civil activists. They have emphasised that it is the responsibility of the President to enforce the law against the individuals responsible for carrying out such acts. Hence, they have requested the President to expedite the investigations related to the murder of journalist Lasantha Wickrematunge.